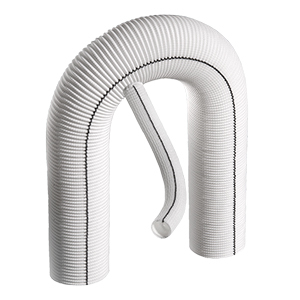 Antegrade flow made easy by the side branch may offer minimized circulatory arrest time, lower risk of neurological deficits, maintenance of graft integrity and convenience. Usable main length 40 cm, perfusion side branch with 15 cm usable length, side branch diameter 8 mm. 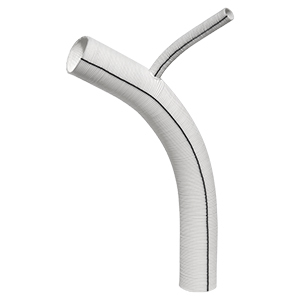 Usable main length 40 cm, perfusion side branch with 15 cm usable length, side branch diameter 10 mm. Usable main length 20 cm, perfusion side branch with 15 cm usable length, side branch diameter 8 mm. Usable main length 20 cm, perfusion side branch with 15 cm usable length, side branch diameter 10 mm. 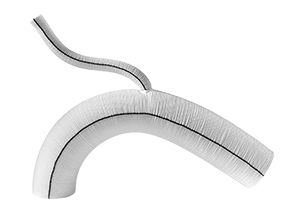 Ante-flo pre-curved, main usable length 50 cm, perfusion side branch with 15 cm usable length, side branch diameter 8 mm. Ante-Flo extra length with offset branch, main usable length 50 cm, side branch diameter 8 mm with 15 cm usable length.